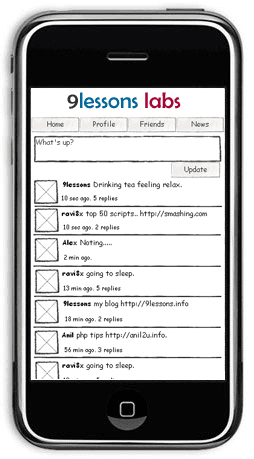 Introducing 9lessons iphone Web Application. 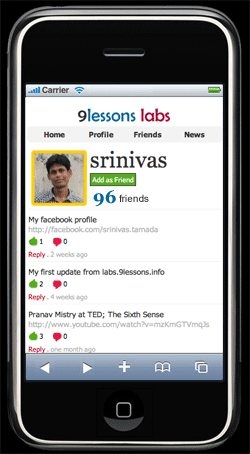 Today I am introducing 9lessons labs iphone web application. 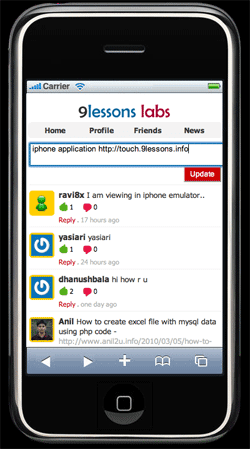 In this post I want to present application screeshots and some tips about how to design iphone web application. It is so simple just some CSS width changes. 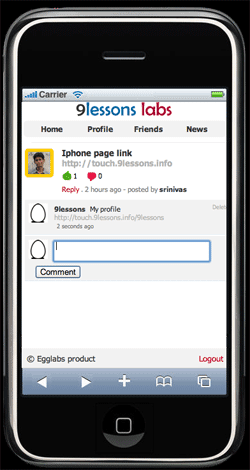 Try this below link with IPhone and give your feedback. Thanks ! 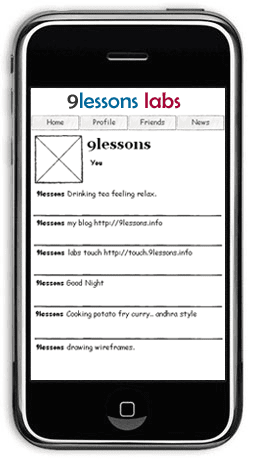 I had designed these below wireframes with iplotz.com. It is very nice online tool for wireframe design. If you don't have iphone, you have to download iphone emulators desktop tools. 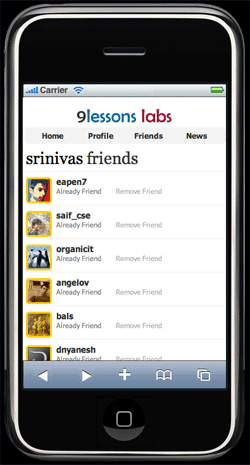 Firefox 3.0 Addon iPhone Emulator download link. Sample CSS Code - Menu list. It's going to be a great article !